Hardcover, 9.75 x 11.25 in. / 448 pgs / 280 color. Text by Massimiliano Gioni, Ed Atkins. 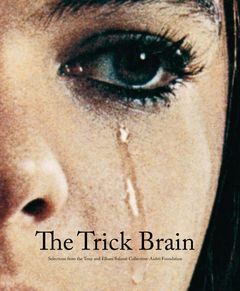 Taking its title from a video installation by Ed Atkins, The Trick Brain establishes connections between works informed by a neo-surrealist sensibility, including works by established figures such as Maria Lassnig, Matt Mullican and Wolfgang Tillmans, presented in dialogue with younger artists such as Danh Vo and Anicka Yi. FORMAT: Hbk, 9.75 x 11.25 in. / 448 pgs / 280 color.